Additional Info: Large main bedroon after being converted from two bedrooms to one large bedroom. Caravan is in a prime spot on the site. Deposit of £50 on booking. Balance due 6 weeks prior to arrival. 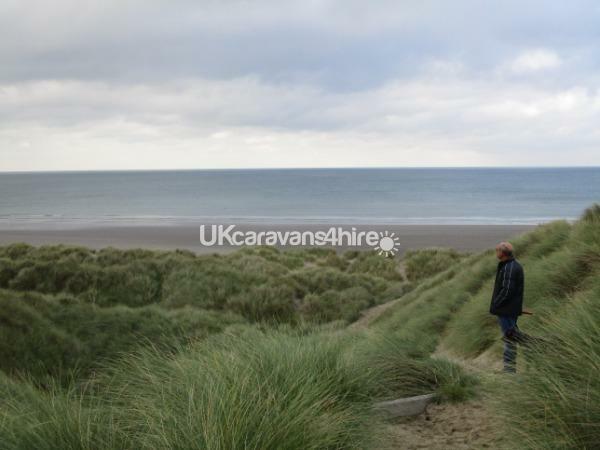 A £50 refundable deposit is also required and will be returned as soon as the caravan has been checked. 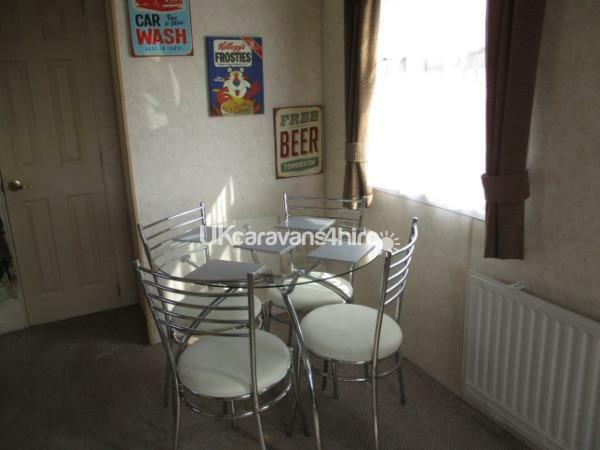 Guests are liable for any damage, breakages and items that are removed from the caravan. Please check the availability calendar at the bottom of the advert before making an enquiry. Thank You. 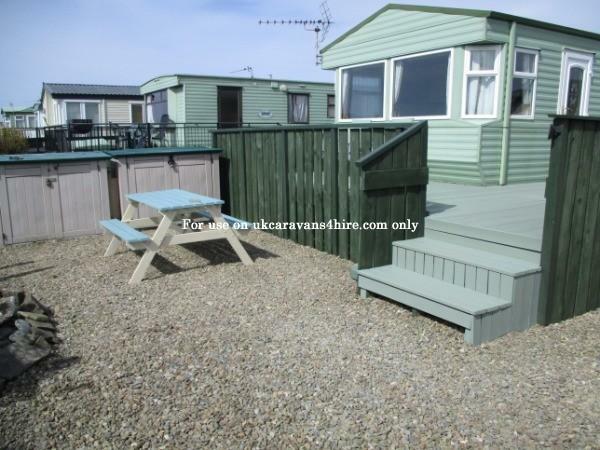 Our caravan is situated overlooking Borth on a private, peaceful sought after end plot. 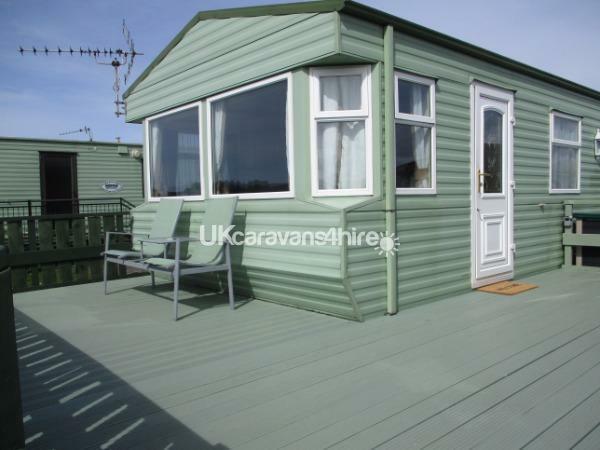 It has a large decking and outside area with beautiful views. Comprising1 large double bedroom,1 twin bedroom, double glazed and heating. Large decking and stoned area. Bedding is included, all new for this season (duvets, pillows and protectors) but please bring your own bed linen. There's plenty of space for a travel cot in the main bedroom ( not provided), two single beds in twin room. 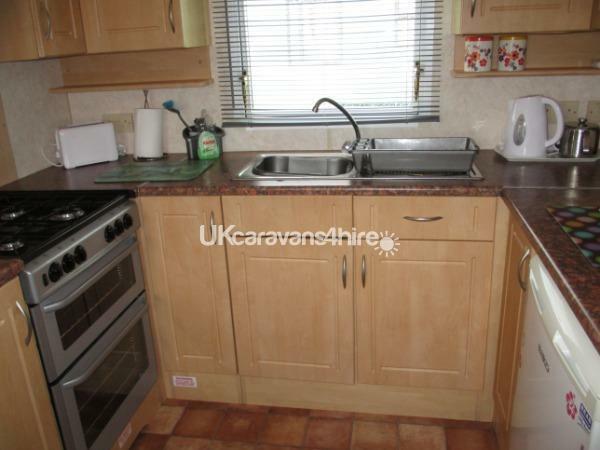 The kitchen is well equipped with a full sized cooker and microwave. Cambrian Coast Holiday Park has stunning scenic walks all around and many local points of interest all along the coast and inland. You can park on the beach at the nature reserve at Ynyslas and walk through the dunes to the beautiful sandy beach. A variety of watersports available locally including kite surfing, water-skiing etc. 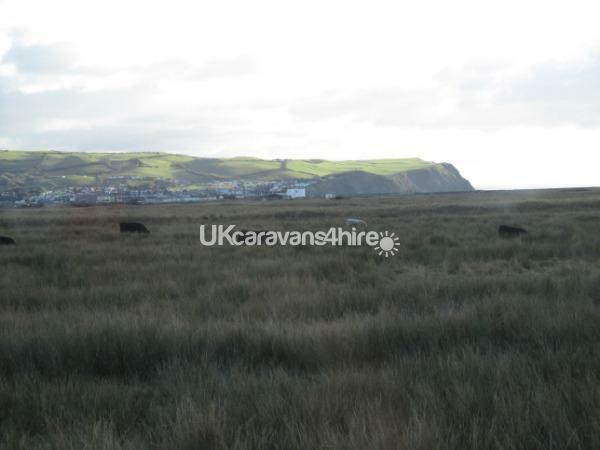 Located next to the town of Borth with many facilities including shops, pubs and food outlets. Excellent transport links including direct bus to Aberystwyth and Borth railway station nearby. Please email powellsplace@outlook.com for availability/prices. (a £5 refundable deposit required) FREE WiFi. Laundrette with free iron/ironing board. Kerri is an absolute pleasure to deal with and thinks of her guests first and foremost. 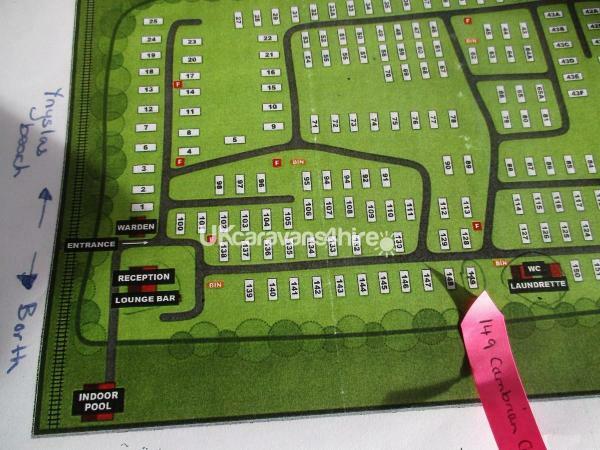 The caravan is very well equipped and in a great location on the site. The site is undergoing a little work but does not disrupt the holiday at all. There was so much to do in surrounding areas and some brilliant memories made. Ynyslas beach is a must visit along with the kite feeding just outside Aberystwyth. 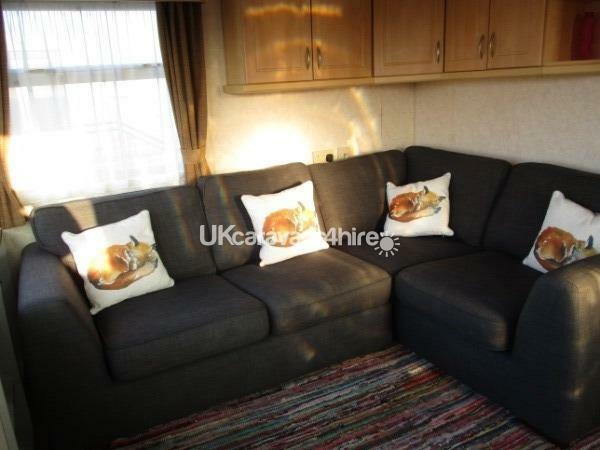 If you are looking for a spacious well kept caravan with brilliant customer service Kerri is a great choice. Thank you very much for your positive feedback. It is very important to us that the customers are satisfied with our caravan and we do our utmost to ensure that the caravan found in a clean and tidy condition. Thank you for leaving it so spotless and the lovely card and plant. I am so glad you had made memories as a family as that is what a holiday should be about. Would highly recommend this clean and comfortable caravan. It is equipped with everything you need to make your holiday perfect. Lovely friendly site too. The booking was easy, and owners are very friendly.Thank You. Just what the family ( grandparents and granddaughters) needed after a rough time. We all loved the caravan and the girls enjoyed their freedom around the site. We had not visited Borth for many years and were happy to find that it was still the lovely place we remembered. We hope to return at some point soon. The only thing we wouldn't do next time is eat in the club house. The food was mediocre and took an age to arrive. There are plenty of places to get good food in and around Borth. We tried both the Acorns chip shop and China house takeaway - good food and good value. 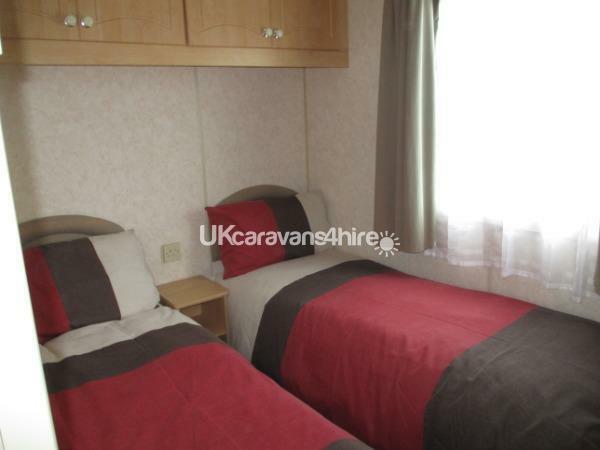 This is a fully equipped caravan with an excellent shower room and comfortable beds. Owner is very helpful, although we only communicated by e-mail, got very prompt responses. Location is excellent on the edge of the park with views across open countryside and the golf course looking towards Borth, good for bird watching as well. On site club house,swimming pool and children play area. Grandson didn't want to return home. Would happily return to this van in the future. I am so pleased that you and your family enjoyed your stay and we would definately welcome you back. I must say a big thank you for leaving the caravan so clean and spotless. Hopefully you will return in the not so distant future!